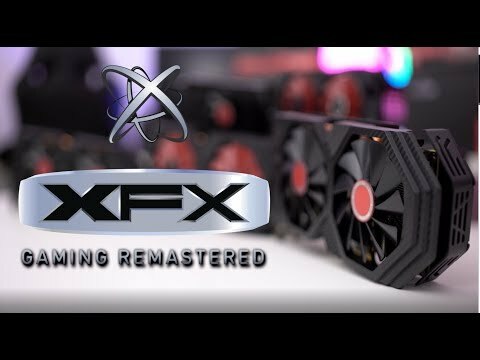 XFX RADEON RX590 GPU XFX strikes back with the AMD Radeon RX 590 GPU. Utilising the latest 12nm manufacturing process, and packing a massive 2304 GCN-based stream processors, the RX 590 is designed & optimised for performance, delivering a smooth, fluid, & fast gaming experience at high resolutions. The XFX Radeon RX590 holds 8Gb of memory and runs off Polaris architecture that provides the perfect combination of low latency, smart software and powerful compute that enables a silky smooth virtual reality experience. 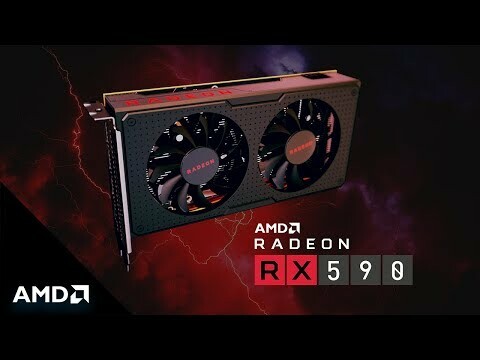 EVEN BETTER PERFORMANCE Powered by refined “Polaris” Architecture, the RX 590, features 4th Gen GCN graphics cores, display engine & multimedia cores, all on the very latest FinFET 12nm process technology, enabling high performance, greater efficiency, and lower temperatures, when compared to previous generations. This provides increased levels of performance, smooth VR, seamless support for next-gen gaming monitors and CPU-free game streaming or recording. Optimized for gaming performance One of the RX 590 significant advantages over earlier graphics cards is the inclusion of APIs like DirectX® 12 and Vulkan® which have been optimized on AMD’s Radeon™ RX graphics platform in collaboration with many of the world’s top game developers and studios, to deliver unrivalled gaming performance and stunning lifelike imagery. DirectX 12 boosts the amount of work that can be sent to the graphics card – and gets it done even faster. EVEN HEROES NEED GREAT HARDWARE Fend off marauders, survive an apocalypse or teach demons a lesson. Gear up with AMD Radeon™ RX graphics for the fight of your life. Get three games FREE when you buy an AMD Radeon™ RX 590 graphics card. AMD has had a strong position in the premium mainstream graphics card market with the Radeon RX 480 (2016) and RX 580 (2017) GPUs. The duo uses what is known as the Polaris architecture to good effect, enabling high-quality PC gameplay at the popular FHD (1,920x1,080) and QHD (2,560x1,440) resolutions.